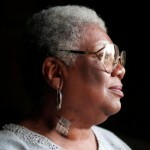 February 13, 2010 Lucille Clifton, writer and educator, died. Her first collection of poetry, “Good Times,” was published in 1969 and the New York Times listed it as one of the ten best books of that year. Other collections by Clifton include “An Ordinary Woman” (1974), “The Book of Light” (1993), and “Blessing the Boats: New and Selected Poems 1988 – 2000” (2000). From 1971 to 1974, she was poet-in-residence at Coppin State College and from 1979 to 1985 she was Poet Laureate of the state of Maryland. She also taught at Columbia University School of the Arts, George Washington University, and Dartmouth College.